TAP insulation can help keep your home pest free! Is your attic in need of insulation? Consider T•A•P (Thermal-Acoustical-Pest Control) Insulation, provided by Modern Pest Services. T•A•P insulation is a revolutionary green insulation for new and existing homes and buildings made from recycled paper that incorporates an EPA-registered pesticide containing borate acid. 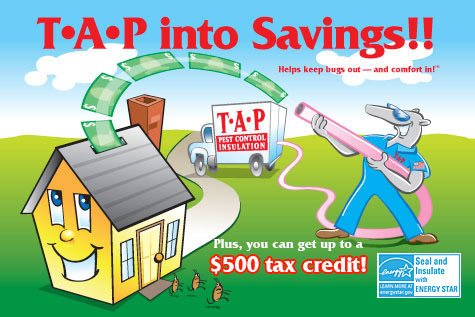 Not only does T•A•P outperform traditional insulation in nearly every category, it also controls pests such as ants, termites, and cockroaches at the same time! Modern is excited to be offering our clients this sustainable solution and unique method of pest control. For more information or to schedule an inspection, call 1-888-997-3312. 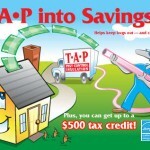 Call today and receive 5% off your T•A•P insulation service. *A 5% discount is applied to your first wildlife service. One discount per household. This offer does not apply to equipment, or any HomeCare, bed bug, or mosquito and tick programs.